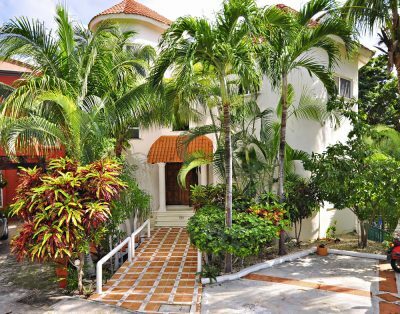 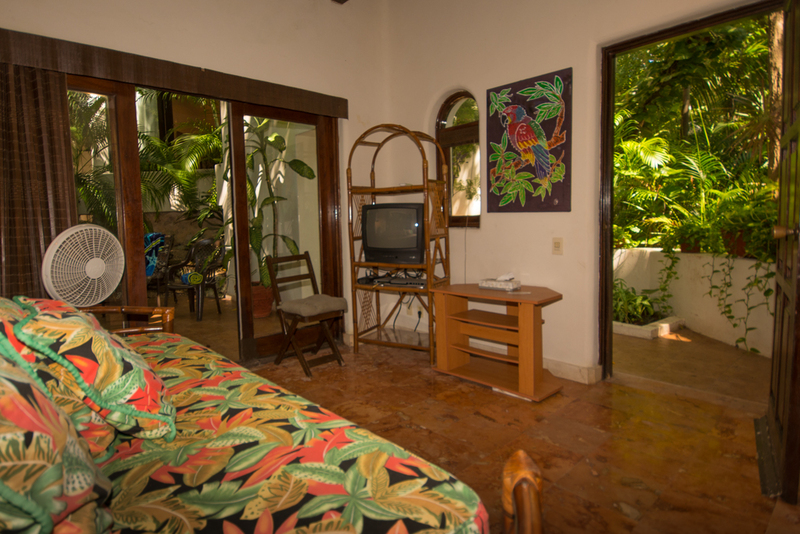 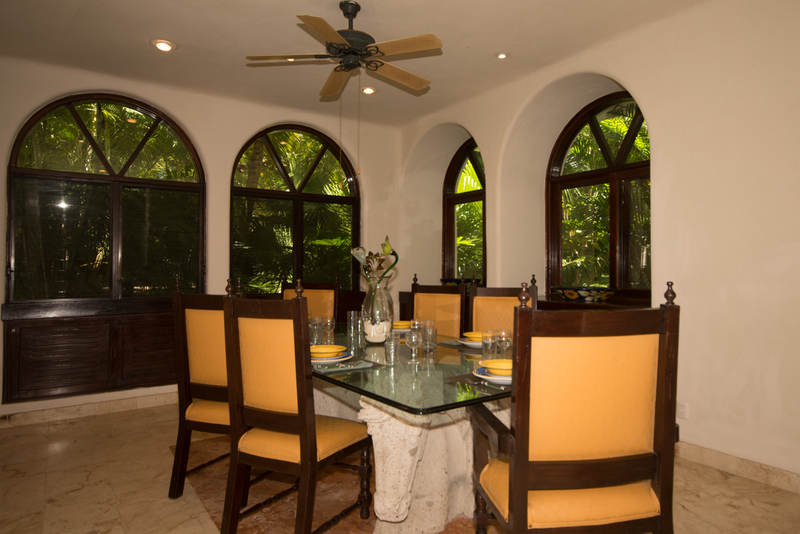 Your family’s dream vacation awaits you at this Playacar Phase II villa. 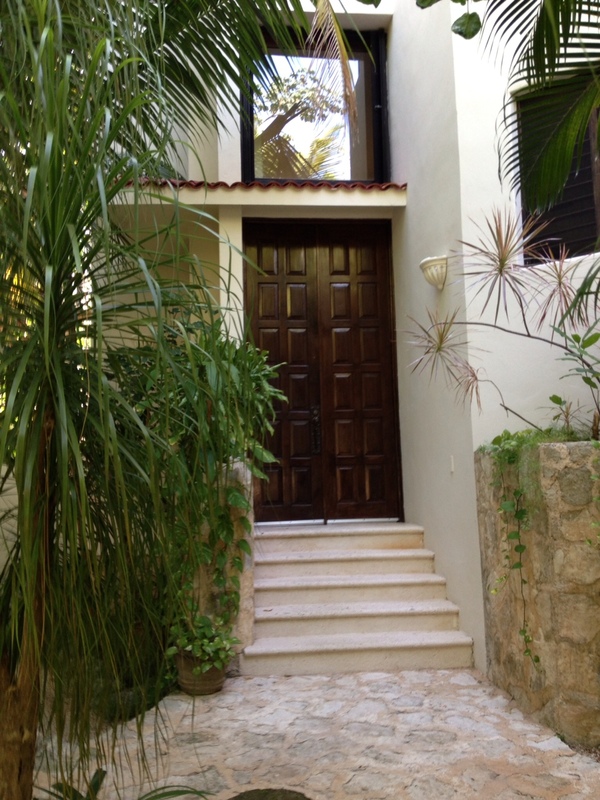 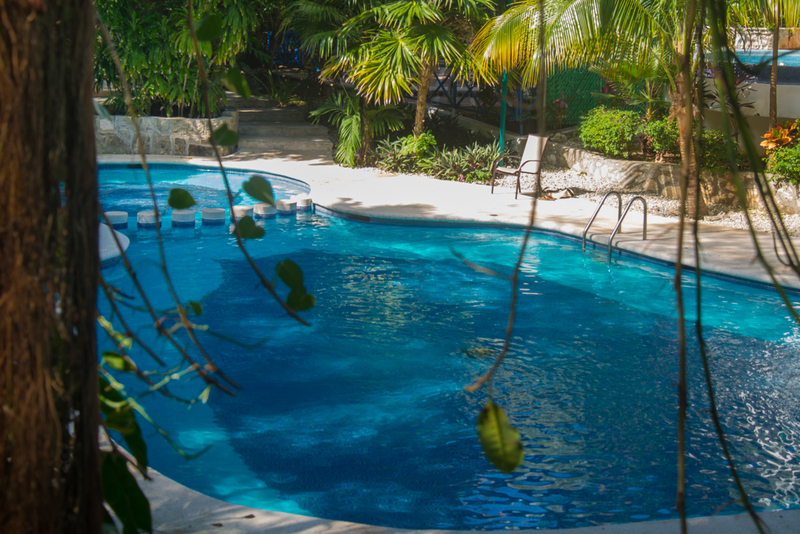 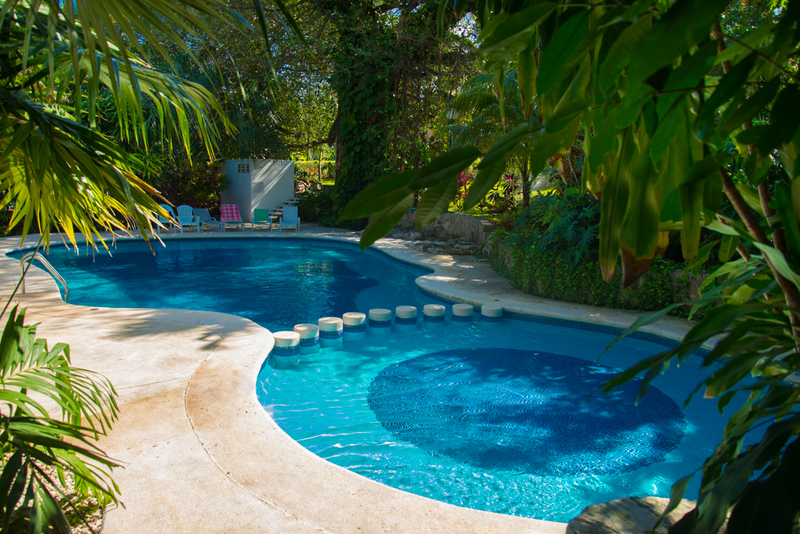 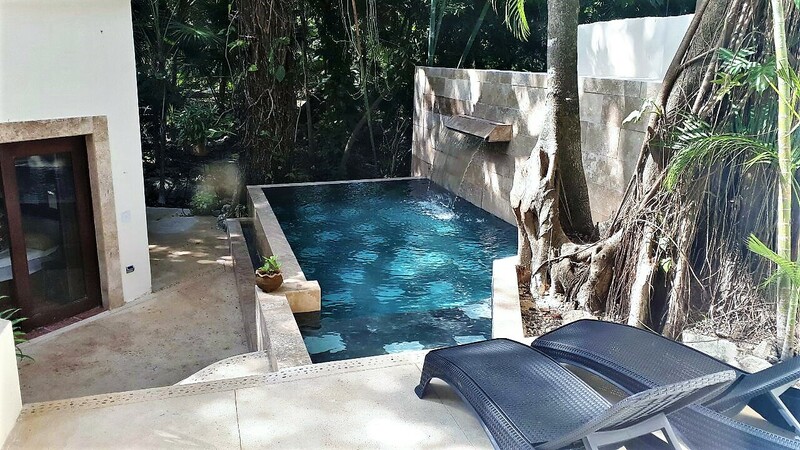 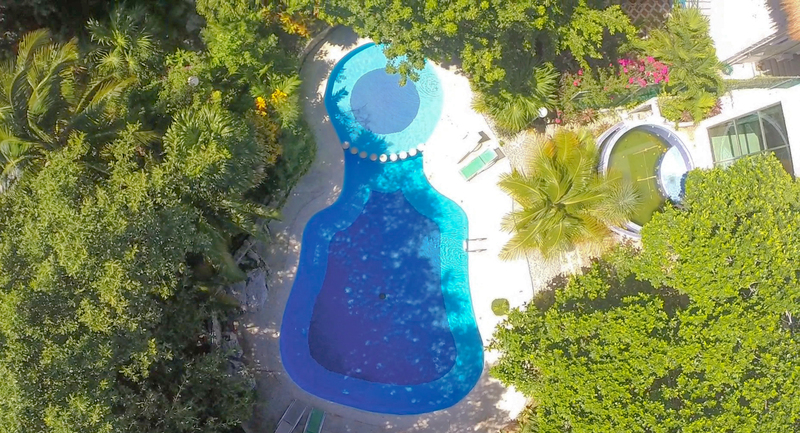 Villa Ensueno (formerly Villa Mimac) sits on a quiet cul-de-sac in a spectacular area of the Mayan Riviera. 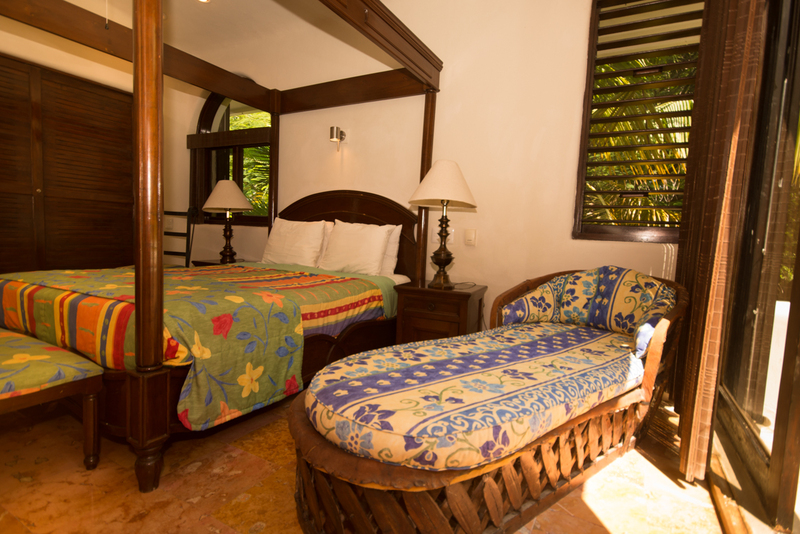 The villa itself, a cross between a multi-storied stately British colonial plantation home and the Swiss Family Robinson treehouse, truly offers something for everyone. 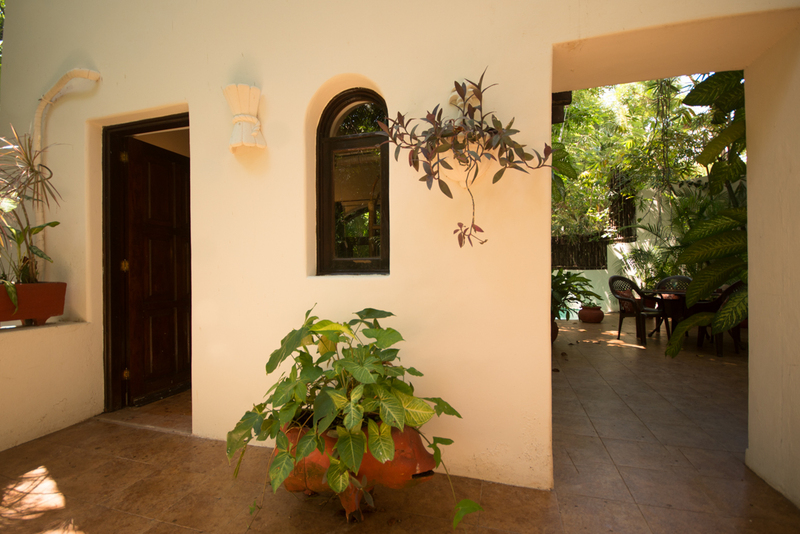 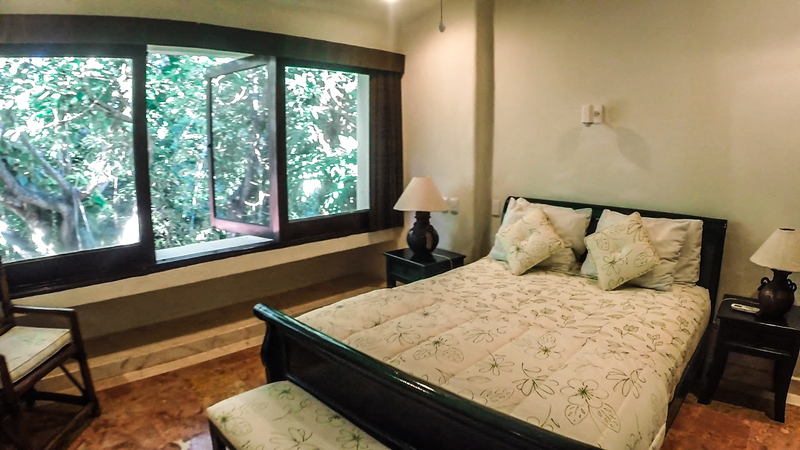 The home is located in the center of a peaceful sun-dappled manicured yard with just the right touch of jungle greenery. 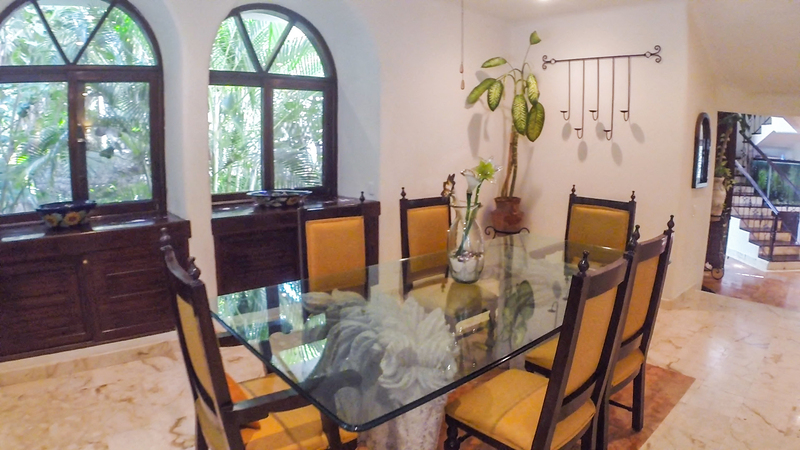 Impressive ten-foot tall double doors open onto a comfortable living and dining area with huge plantation-shuttered windows, unique furnishings and plenty of seating. 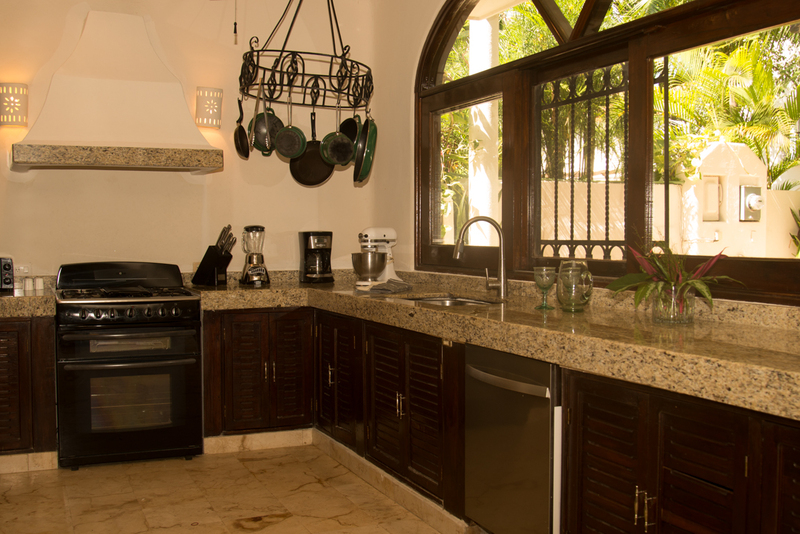 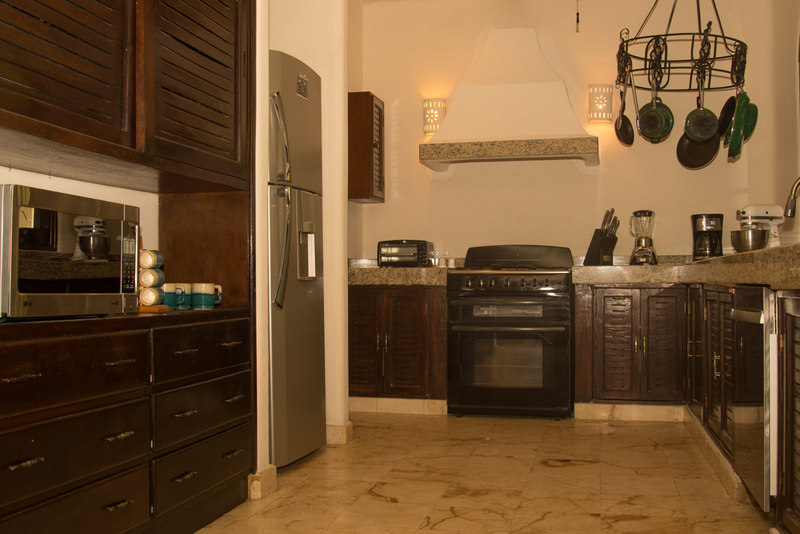 The fully equipped kitchen features a gourmet 6 burner gas stove and gorgeous Mexican tile and wrought iron details. 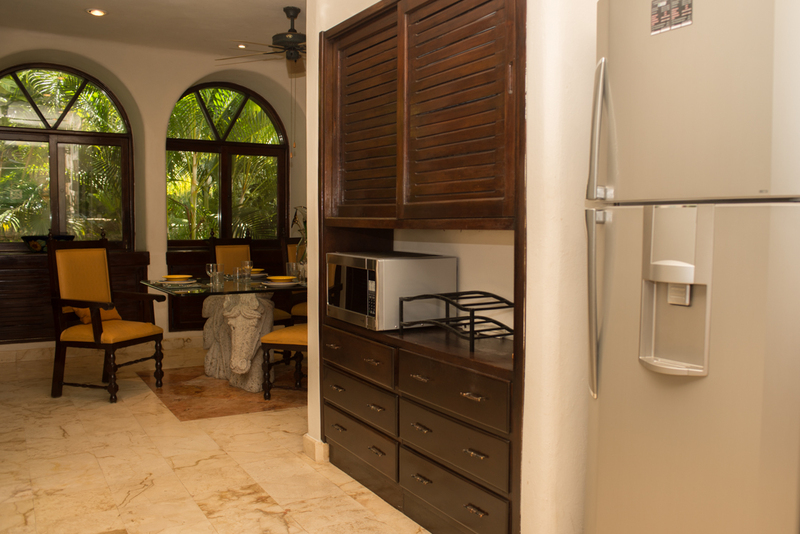 Behind the kitchen, a small guest bedroom with full bath and double bed opens onto a little private courtyard which also contains the full-sized washer and dryer. 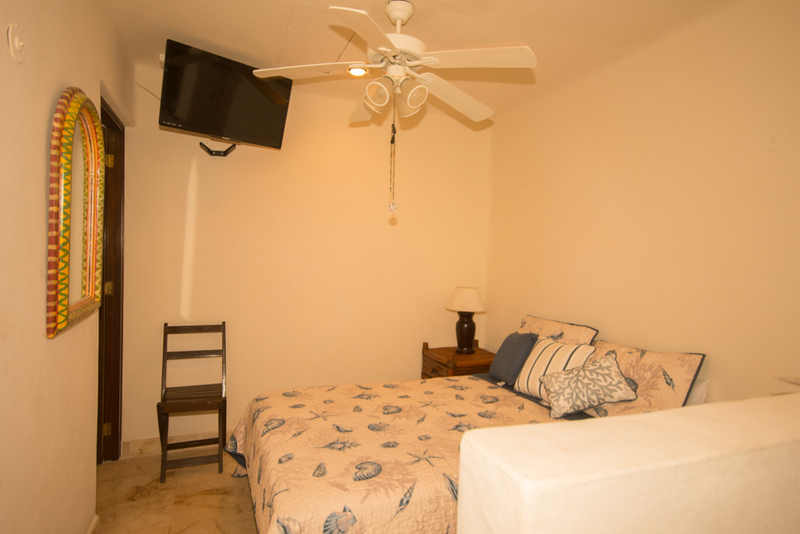 Throughout the entire house you will find air conditioning and plenty of ceiling fans. 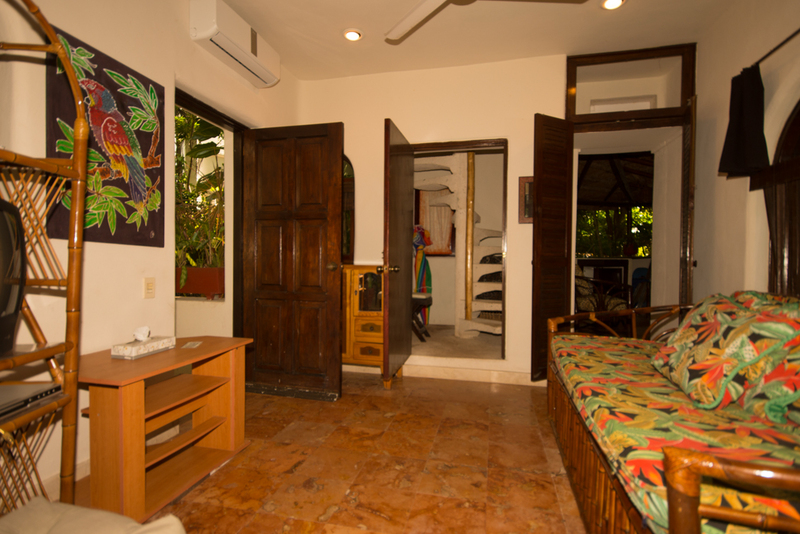 Upstairs, a sunny art-filled walkway houses plenty of books and games as well as three large bedrooms with three full ensuite bathrooms. 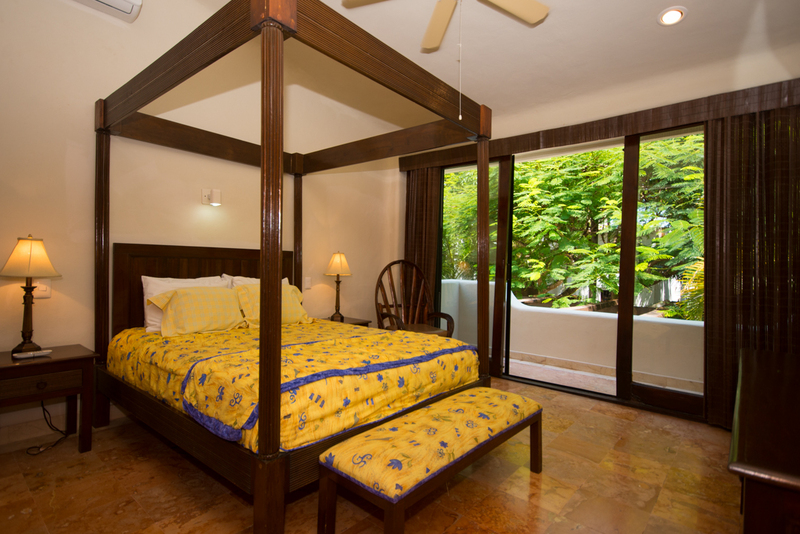 The master bedroom includes a four-poster queen-sized bed, a chaise lounge and built in closets and drawers. 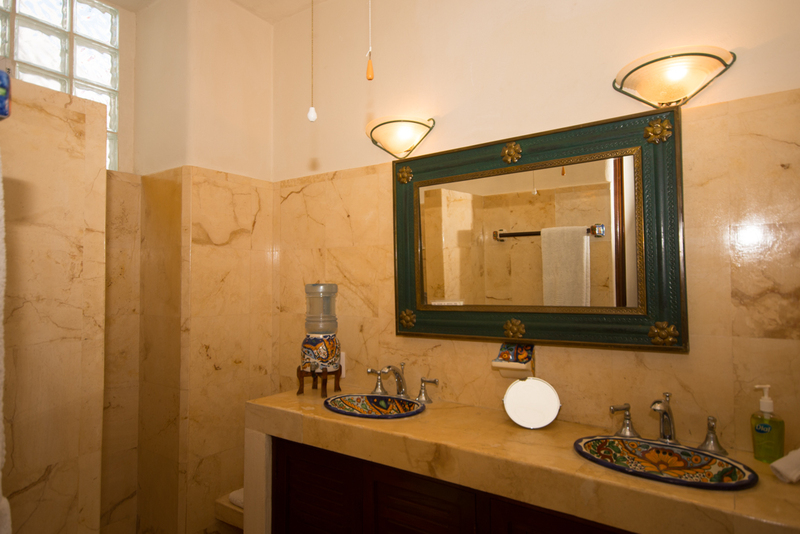 The master bathroom contains lovely talavera tile accessories and features an enormous Jacuzzi-tub and shower. 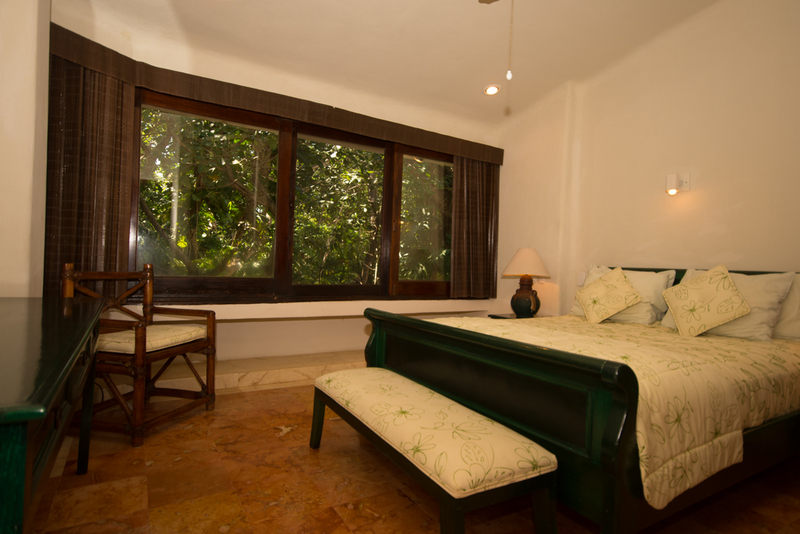 The other two tastefully appointed bedrooms feature queen-sized beds and ensuite bathrooms with large showers and talavera sinks. 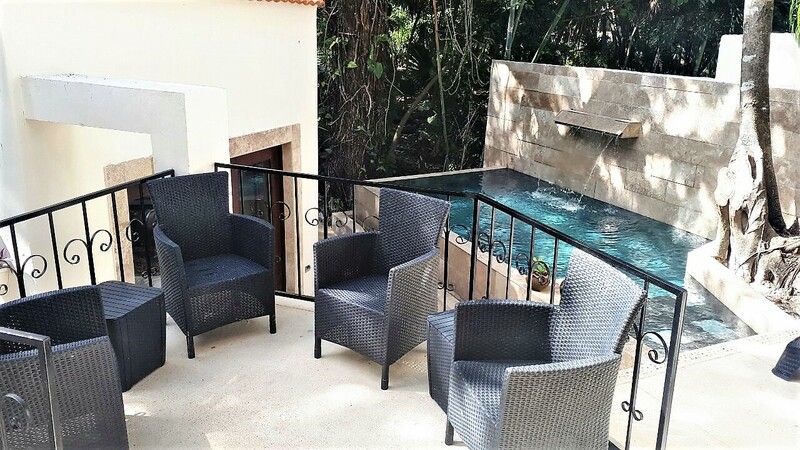 One more set of stairs brings you to one of the many surprises of this villa: a third-floor treehouse hideaway with two twin beds, a shower and small watercloset. 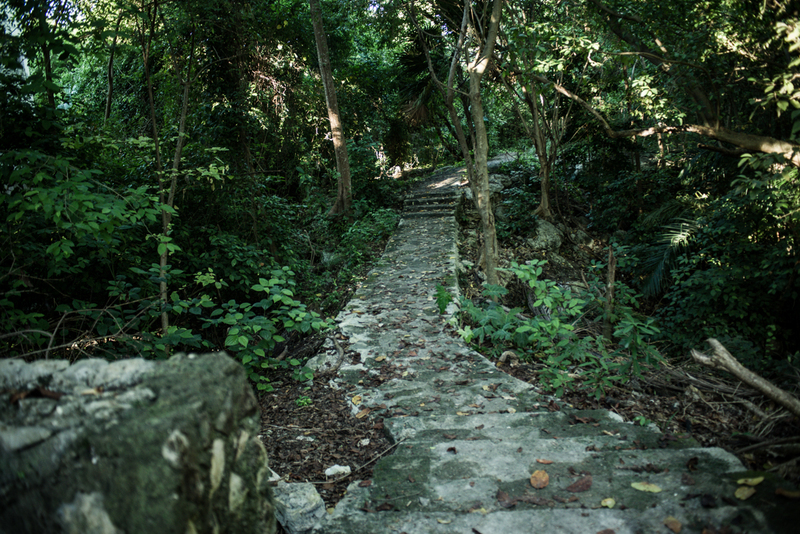 Bring your binoculars to watch for tropical birds, butterflies, lizards and maybe even a monkey or two! 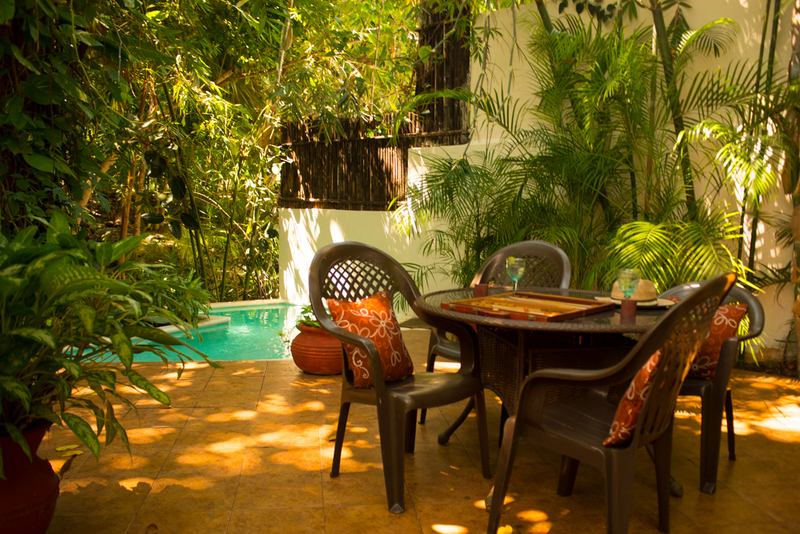 The grounds are no less fabulous with multiple seating and dining areas in which to entertain friends or simply relax. 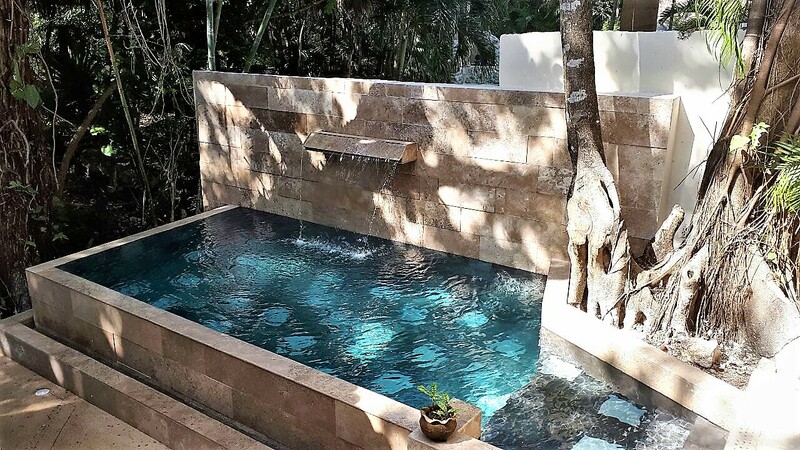 A unique dipping pool with waterfall feature wraps itself around an ancient tree, and the view is one of untouched natural beauty. 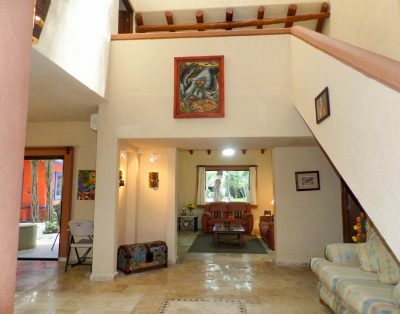 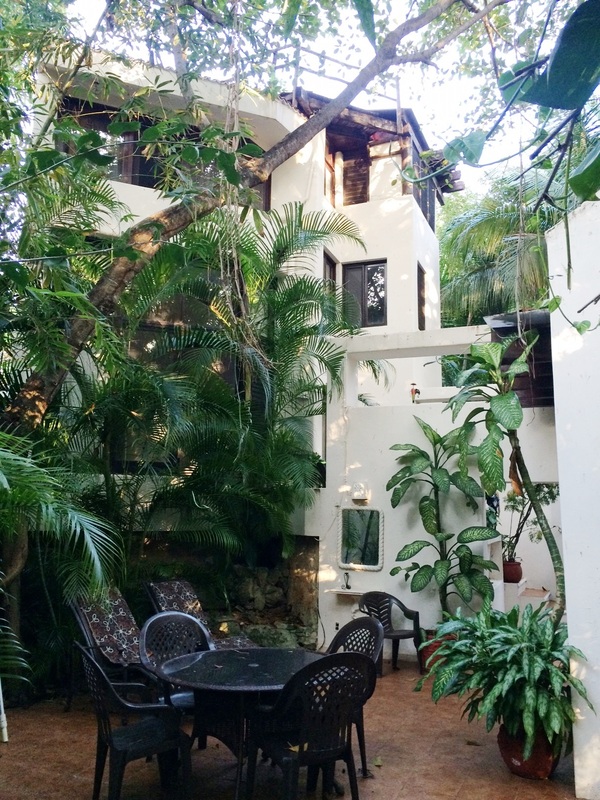 Another surprise feature is a two-story casita with its own living area, outdoor kitchen and second floor bedroom and bathroom. 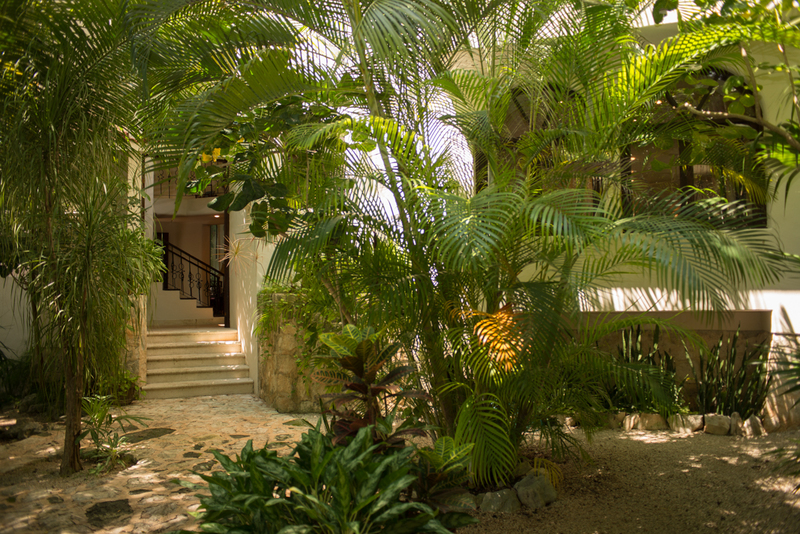 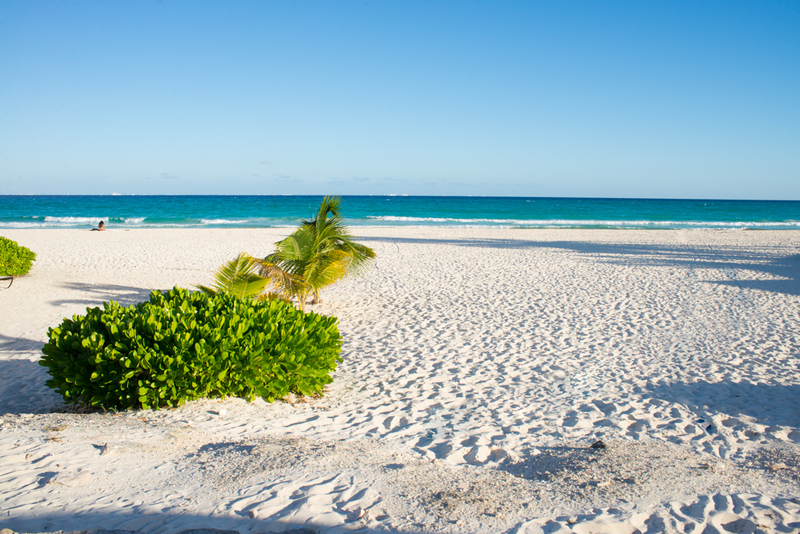 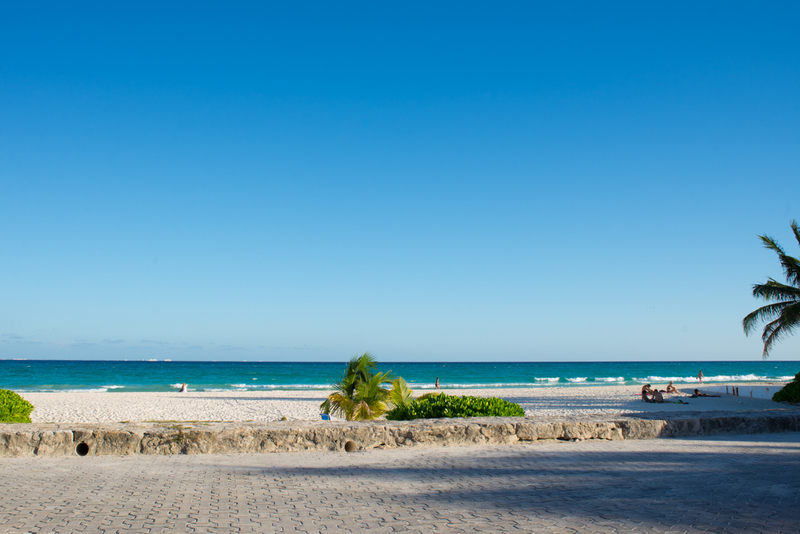 A private path leads you through the trees and out to the perfect white sands of the Playacar beaches, less than two blocks away. 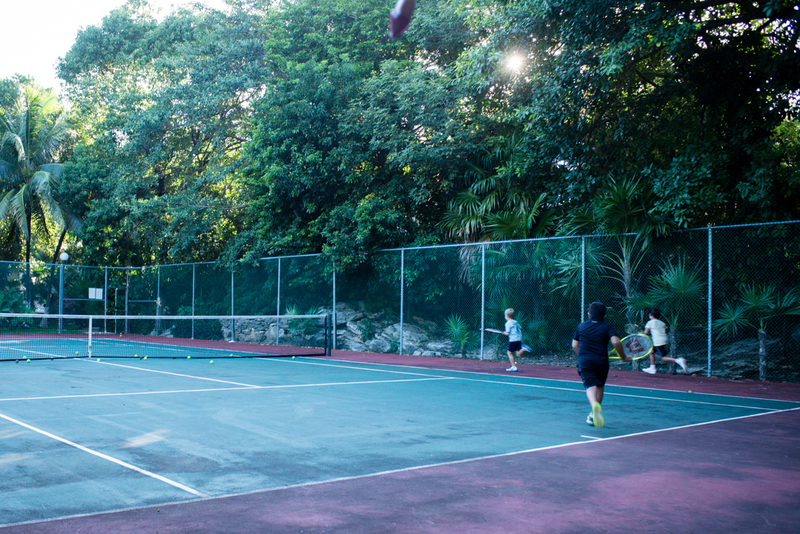 A different path through the trees leads to the swimming pool and Tennis court. 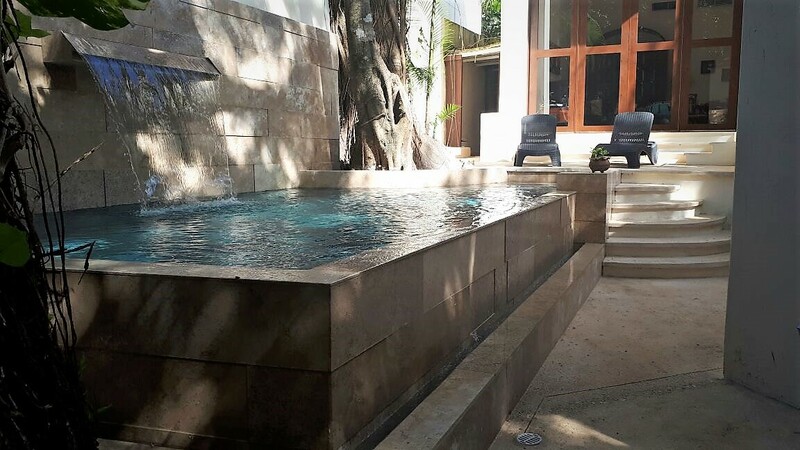 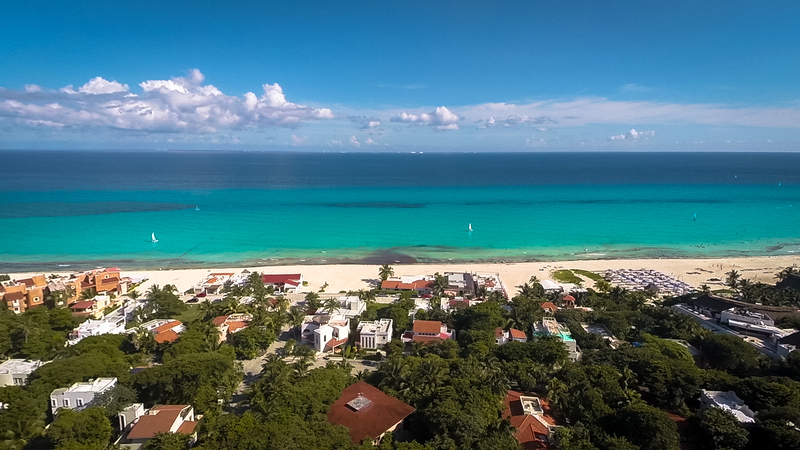 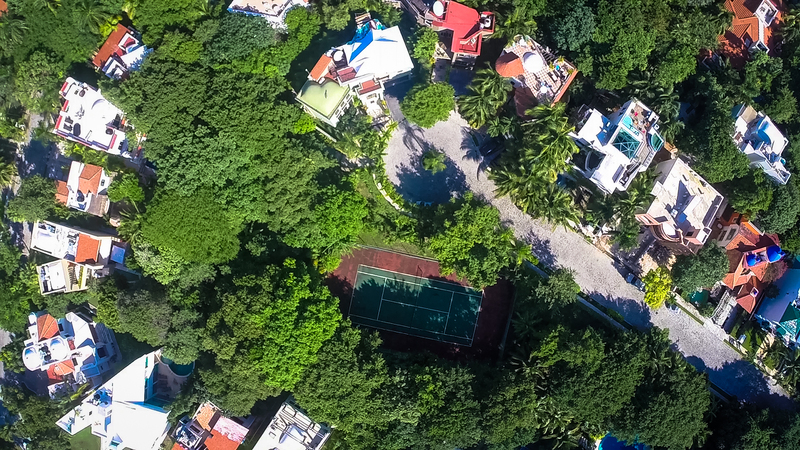 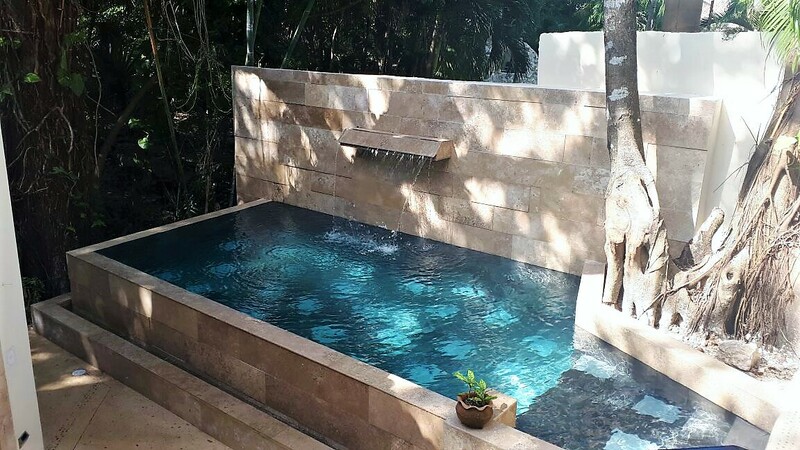 This gated community, in addition to being adjacent to Playa del Carmen’s world-famous shopping and dining districts, is home to its own collection of Mayan Ruins, an aviary, golf, tennis, bike paths, walking paths, shopping and restaurants. 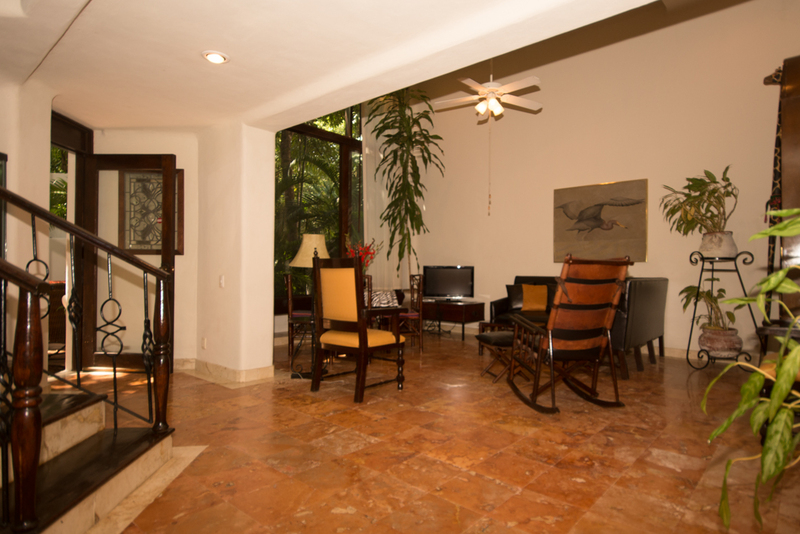 Book this home today for a vacation you will never forget! 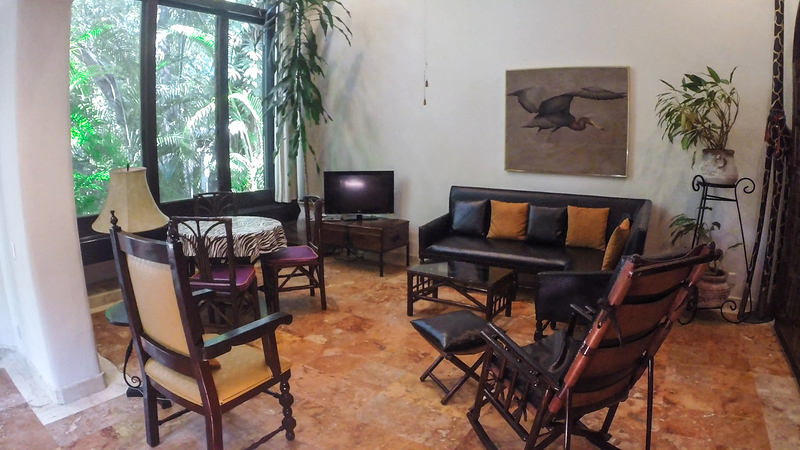 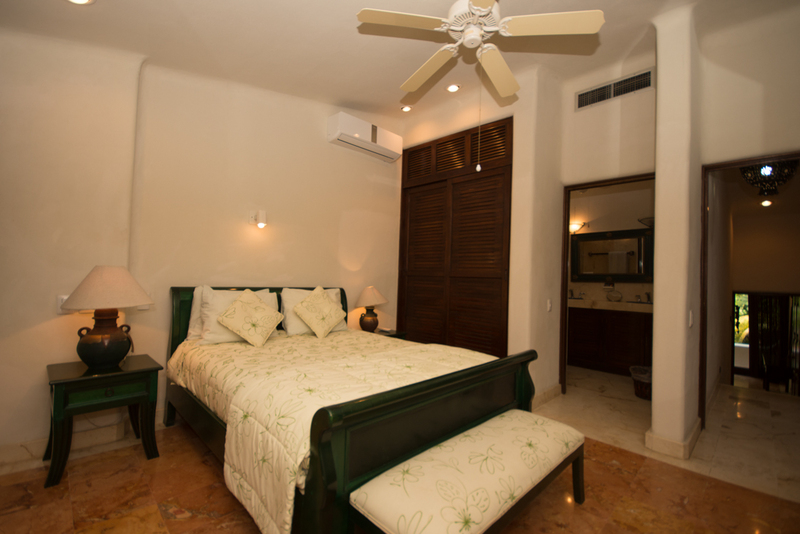 This property is professionally managed by Playa Rental Properties, a leading property management company in the Playa Del Carmen area. 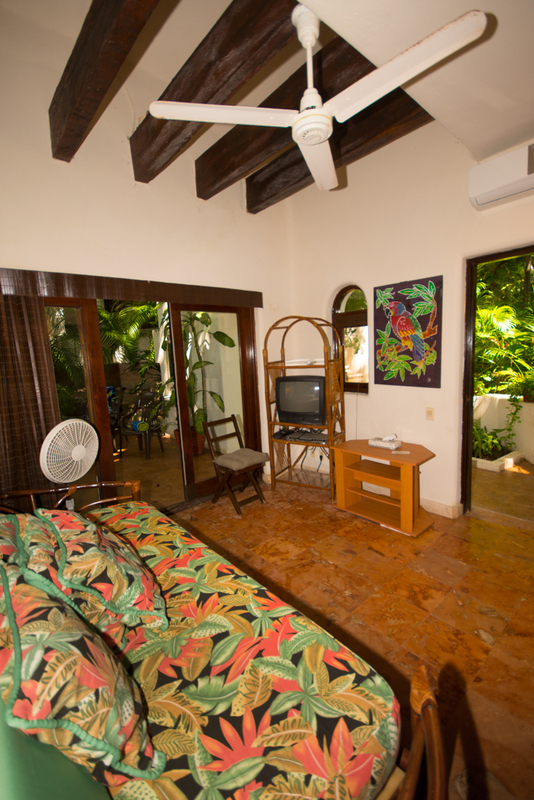 We focus on providing consistent service, comfort, and safety to our guests. 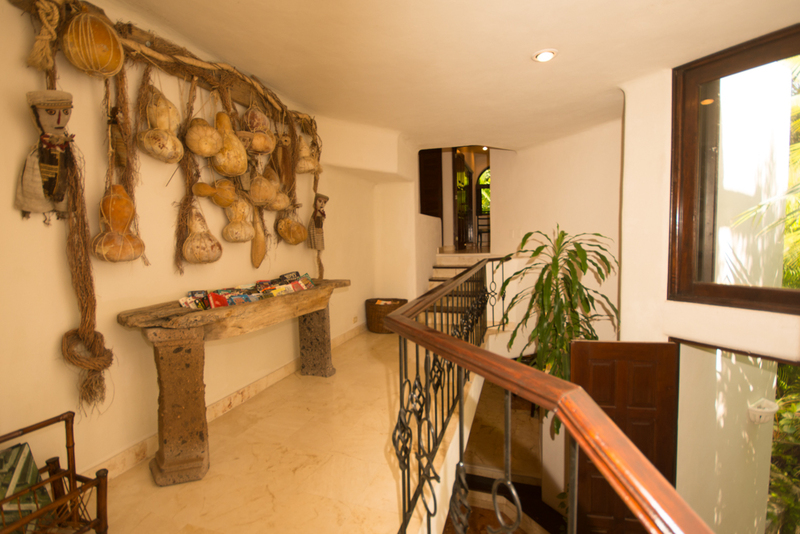 Our professional staff is eager to extend utmost care and service to our guests during their stay at Villa Ensueno.